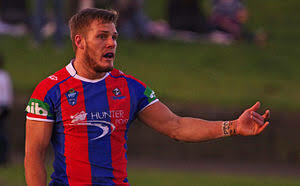 Newcastle Knights cult hero Nathan Ross has been forced to retire with on going complications after groin surgery last year. A beloved member of the Newcastle community, Ross played 60 games for the Knights and was once famously told by Wayne Bennett he would never make it in the NRL. “He’s been a fantastic ambassador for this club,” Knights CEO Phil Gardner said.